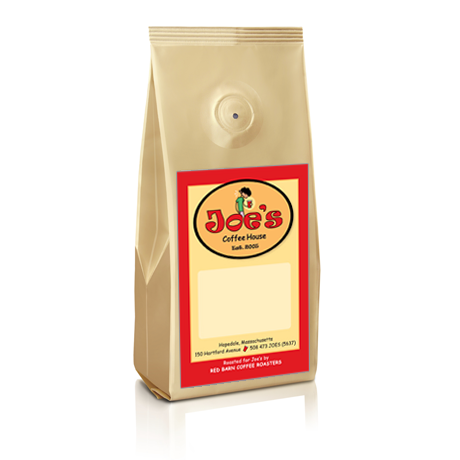 Joe’s Coffee House needed labels to apply to their bags of coffee, and the existing logo needed to be re-cast into vector art and created into art suitable for commercial purposes. The artwork was re-cast and at the same time somewhat enhanced to work for all their applications: signage, mugs, shirts, labels, business cards, and more. We developed a warm, bright palette of colors to accompany and harmonize with the re-cast logo, and this went into all their needs.